Hello everyone! Looking back on my writings, it seems we haven’t had one of these “Best Camera I Never Knew” postings in a while! Over a year in fact! So today we’re back with a camera that may not be well known to the masses, but is quite popular on photo sharing sites like Flickr and elsewhere. And you guys, my dear readers, are NOT the masses! It is a cult favorite, the Super Ricohflex. The Super Ricohflex was introduced in 1956 by Ricoh of Japan. It is a Medium Format twin lens reflex camera that takes 6×6 images on 120 film. At its heart is the taking lens which is an 80mm f/3.5 Ricoh Anastigmat. It uses a geared focusing system much like the Kodak Reflex of 1946. The camera has a shutter speed range of 1/10-1/200 secs plus Bulb in a Riken shutter. I have read of other models with higher shutter speeds, but I have had three of them at different points in my life, from different random sellers and they all had up to 1/200. If you have a model with a higher shutter speed range, I’d love to hear about it! When in working condition, the Super Ricohflex is capable of giving images with “character” especially wide open at f/3.5. That is the best way I can describe it. The 80mm f/3.5 Ricoh Anastigmat is one of those lenses capable of giving you that ever popular on Flickr “swirly bokeh” look. “Escape To Reality” 2009. Super Ricohflex, Ilford HP5 Plus in T-Max Developer. An example of the swirly “dreamy” image that the Super Ricohflex can make. In my opinion, this usually comes from a lens that is optically not at its technical best, and the swirly bokeh is somewhat overplayed by bokeh fanatics, but that said, if used judiciously it can produce “dreamy” memorable images. Stopped down, the images can be very sharp at f/5.6-f/8 as are most decent lenses. Think of it this way? Why would I want to do double work, blog and video, when I could just do one or the other? If it weren’t for you guys, my fellow Camera Lovers, I’d not bother with the videos! Simple. I had three of these cameras! I got my first one in 2009. I sold one and I still have two. All three of them ended up having the infamous “Frozen Focus” issue. And what is that? In the introduction, I mentioned that these cameras use a geared type of focusing mechanism. What that means is the viewing lens and taking lens are geared together and by moving one you move the other. That in itself shouldn’t be an issue, but whatever grease Ricoh put into these lenses have been known to notoriously seize up with time. Out of my three copies, only one was working, and even that one was already on the outs when I got it. It was not perfectly smooth. I left it on the shelf for about, I’m gonna guess cause it’s been years, but approximately 3-5 months. The next time I picked up the camera…stiff as a rock!! So as of today, the two copies I have are pretty much worthless as shooters. Thankfully, they did not cost me much! A competent camera technician should be able to repair these cameras. From what I have heard, it’s not a simple matter of taking the lenses off and regreasing them yourself. It’s a bit of a delicate process. Therefore it’s better to leave it up to the experts if you have no experience with camera repair. One person I remember offhand that might do the repair is Mark Hansen out of Wisconsin. He’s a great repairman with a solid reputation for working on Zeiss and Rolleis. I believe he is still in business though I do not know if he’s willing to repair the Super Ricohflex and if he is, how much it will cost. If you contact him, tell him Sam from CameraLegend.com sent you! PRICES & WHERE TO BUY? If seeking one of these cult classics, and I’m not sure that’s a good idea, prices are trending at $20-60. Keep in mind, due to the possibility of the camera needing a CLA, the low price you might pay belie the true cost after the camera has received a CLA. However, once you get a CLA from a good repairman, I can attest that the Super Ricohflex is a good and fun budget shooter. As I love all cameras, it is not my goal to pick on the Super Ricohflex. Ricoh is a Camera Legend whose cameras I have used and praised often. I do totally understand that a camera this old may need a CLA as most cameras of this vintage would benefit from also. However, as I mentioned in the video…This is no Rolleiflex. And it was not intended to be. It cost much less than a Rolleiflex or even most Rolleicords, the budget Rollei TLRs. A Rolleiflex could be sitting there for 30 years and I’d be willing to bet, most would still be functioning. Not so with the Super Ricohflex. If you have one, use it often, keep exercising those gears! Whatever grease Ricoh used in these cameras are infamous for freezing up. 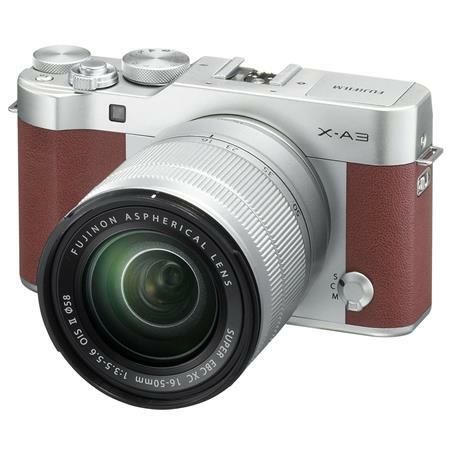 Right now, for a limited time, get a great deal on the hot and capable Fuji X-A3! Hurry this won’t last long, great savings just in time for Christmas! The kit is usually $599. Buy it now through our trusted affiliates and get it for $349. That’s real savings!! The Sony A7RIII Today’s Ultimate Camera? Just taking test shots with a Digital Harinezumi Guru, a 3mp “toy camera” that has a cult following, but probably not well known by the mainstream. The Vivitar Ultra Wide & Slim and its virtual clone, the Superheadz Yellow Peace. Cult camera favorites of toy camera fanatics. The Vivitar Ultra Wide & Slim is 35mm point and shoot film camera made by Sunpet Industries of China and distributed by Vivitar under their own name. The camera has an almost exact clone from Superheadz in different colors and different nicknames. The actual year of manufacture is unknown or undocumented. At least, I cannot find it in my research. I suspect it was made in the 1990s or late 1980s. The Ultra Wide & Slim is an all plastic camera with a plastic lens and low quality build. However, the camera has achieved cult camera popularity primarily due to its 22mm f/11 “Ultra Wide” lens which is unusual for a fixed focus point and shoot, even today. As a camera, the Vivitar “UWS” has only one aperture, f/11 and only one shutter speed, 1/125. This makes it primarily usable as a daylight camera using higher speed film. This was and is intended to be a cheap camera. However, the camera has become very popular with the toy camera, Holga, Lomography, etc, crowd for whom lens distortion, light leaks, and imperfect photos are much desired. If you love cameras as much as I do, you’re bound to collect some cameras that you have yet to use. This is one (or two) of them! Actually, I did get a roll of film through the Superheadz but when I developed the film the whole roll came out black. I’m not ashamed to admit that it was probably my mistake in development. I added too much water to Ilford ID-11 which is not a developer I use often, though some say D76 (which I have used often) is the same. However, I’m can’t be 100 percent sure if it was me or the camera so I will try again. Any camera with a 22mm lens is bound to give you some very dynamic looking photos and I don’t mind the flaws, especially for the price. If you know what to expect, you won’t be disappointed. 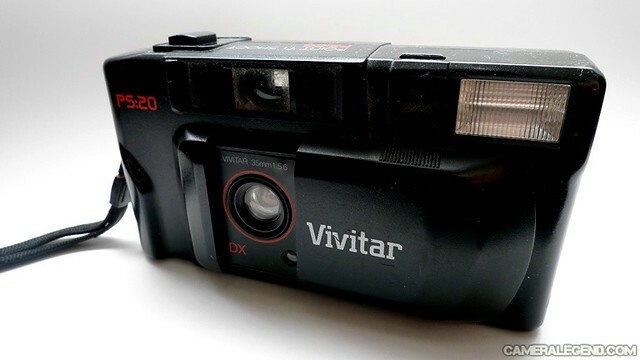 If seeking one of these, prices used to be very cheap, but now is trending at $25-50 for the Vivitar in used condition, and from $24-60 for the Superheadz version, price dependent on the model and seller. For example, the black version called the “Slim Devil” runs near $40 from most sellers. You may find a good selection of the Superheadz version HERE. One great thing about Spring, other than the weather, are all the photographic deals going on. 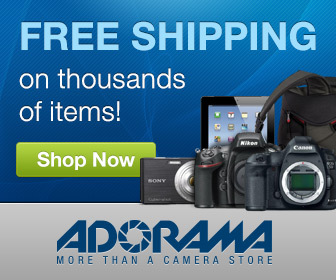 Some great deals and savings on Nikon Lenses are going on right now. If you’re going to buy, please buy through the link and help support this site. I greatly appreciate it, thanks! Olympus has a very cool Trade Up program where you can trade in virtually any used camera and get monetary value towards the purchase of new Olympus gear including the OM-D series and the awesome new Pen cameras. This is my Vivitar PS-20 from 1987. Bought it for $20 bucks at a now defunct chain store called “Caldor”. This camera took me through the late 80’s and half of the 90’s, providing some of the most memorable (if techincally poor) images of my life. Today, lucky us, we have point and shoot cameras that can do so much more than this old Vivitar. Yet in some way, these new point and shoot cameras seem to have lost track of what it means to be a point and shoot! While this article is about the Vivitar PS-20, it is really not about the camera itself. It’s a tribute to the lowly point and shoot cameras of yore. To the thousands of lousy, but charming old point and shoots out there. The ones that are worth next to nothing, but have more heart and soul than a $3000 point and shoot. The Vivitar PS-20 “Point ‘N Shoot” may never be a Camera Legend, but taken as a collective with its thousands of peers, they all could be considered Camera Legends. This is the funniest thing, except it’s really not funny. A few years ago, some seller on Amazon apparently decided to swipe (steal) this pic from my Flickr stream and use it. You can see the Amazon ad in this link HERE. I never made a big deal out of it because it’s not an award winning picture or anything and this camera is worth next to nothing. In fact, before I wrote about this camera back in 2009, I don’t believe there was any information on it anywhere on the web because I always do a little research before writing about anything. As I said, I’m not mad or anything, but I do find it humorous. But if I, by some chance, had an award winning shot and someone used it without my permission, sure I would be pissed. But this, nah, it’s something I’ve accepted as part of the deal when you post pics on the internet. When you post something to the internet, remember this is part of your “contract.” I’m sure the person who used the photo didn’t know any better. The main thing people should remember here is, just as Napster once opened the MP3 Pandora’s box, so too do you when you post pictures to the internet. I’ve always accepted that once you post something, it’s subject to theft or anything by anyone. So please, if you feel you have an award winning picture, DO NOT post full sized images. Put some kind of watermark or something. If it’s just an average, everyday picture no need to do anything, no one will care. I hate watermarks or copyright logos actually. The only reason I put them here is so that people can remember the website, which is always a wise thing when you’re running a relatively new site.